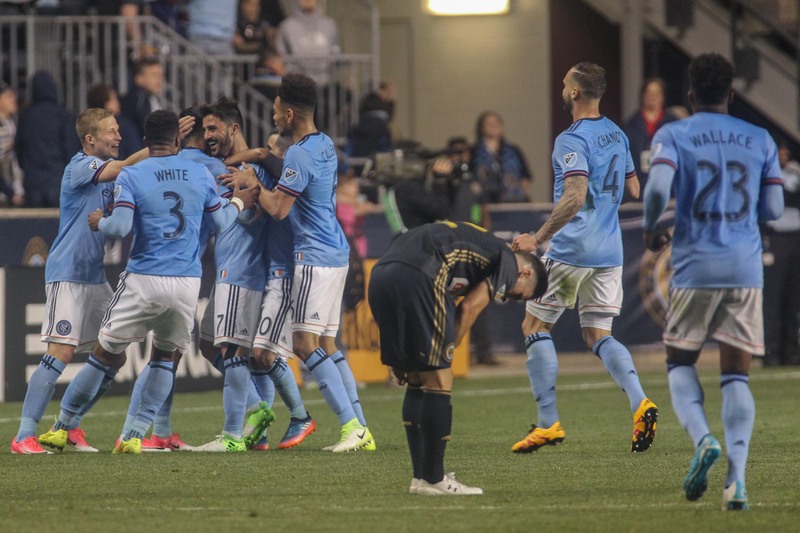 Jack Harrison’s 51st minute goal from a Ronald Matarrita assist and one of the best goals MLS has ever seen from David Villa gave New York City FC their first away win of the 2017 MLS Regular Season at Philadelphia Union’s Talen Energy Stadium. David Villa produced one of the best goals of his entire career, shooting from 53.5 yards out, volleying over Blake into the net to deservedly earn his team their third win of the campaign in jaw-dropping style. The winger always looked like the most likely source of a goal to break the deadlock and he delivered it in fine style with a crashing finish under Blake after a clever run around the back of the Philadelphia defense. It wasn’t just his goal which caught the eye on the night – he was a constant menace to the Union backline, slaloming through challenges and exchanging passes with teammates throughout the contest.